I’ve personally been fascinated by Jamaica since before I started traveling. I really enjoy the reggae music. Bob Marley and the Whalers had a huge impact on the world of music. As a student of the world’s religions I am also fascinated by the Rastafari movement and the connections with King Solomon and have read the Kebra Negast, when preparing for my trip to Ethiopia and in understanding culture of Eastern Africa and my visit to Emperor Haile Selassie I tomb in Addis Abba. (You can read more about my travels to Ethiopia to the Rock Hewn Churches and the Empire and castles of Gandor Ethiopia. Connections even go deeper when I think about my Jamaican friends and how happy they are, and how addictive the smiles of my friends. 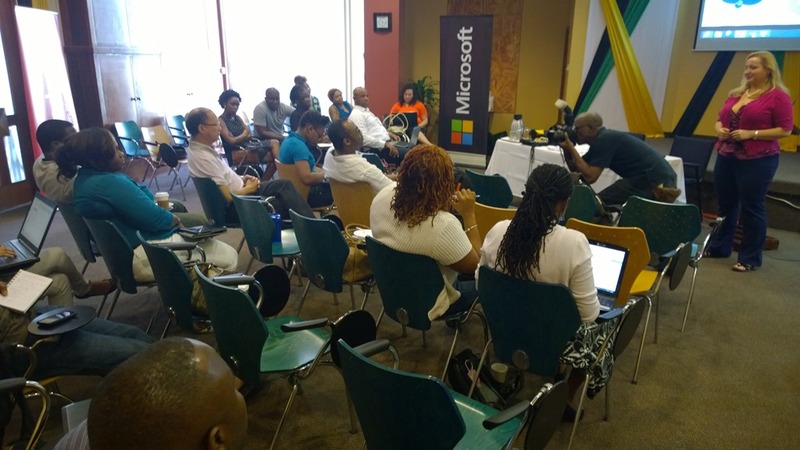 The story of my visit to Jamaica for SharePoint Saturday stars with a conversation with a close friend. Fabian Williams, a popular SharePoint personality known for his deep technical knowledge in the DC area in the federal space, but also as a popular SharePoint speaker. I was among speaker friends at the speaker dinner in Virginia Beach, not far from where I had encountered my first Rastafarian friend in Hampton 20 years earlier. I’m always up for a good adventure, so when Fabian asked “So, when are we going to do Jamaica?” I responded with, I’m ready and a few others expressed interest including Naomi Moneypenny. We talked about our visit to some Jamaican stops in Fort Lauderdale, including the Jerk Chicken and goat. Incredible food. I looked at my calendar and realized I’d be in Orlando at the beginning of April. So I said, if we can make it happen the weekend of March 29th, I can be there. Others said they were free, and I set off to make it happen. One thing about me, if I put my mind to it, I can make it happen. My friends know this. Later I was talking to Roger Taylor on Facebook from Jamaica, and he shared that he *REALLY* wanted to come and speak, and that he hadn’t been back in 23 years. I knew for Roger this trip was going to mean a lot. After I got the eventbrite page up, it was Jim Bob Howard that I reached out to. He was there when we started planning the event. He has an incredible passion around building community as a connector. 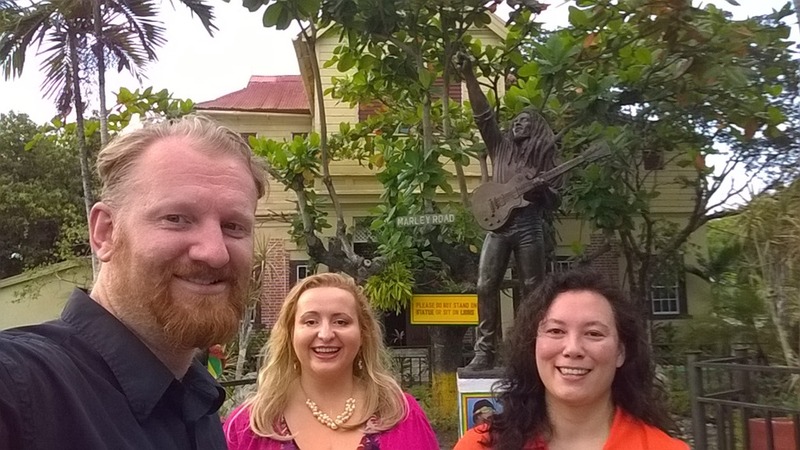 A lot of the early signups we had on the eventbrite were due to his work in helping us find the real SharePoint talent in Jamaica. Jim Bob has spent many hours helping us connect with people that have a passion for technology that help us move mountains to put on successful events. Roger really helped me focus on the event. Every few days he’d ping me and ask me where we were at with venue, or the site, or updates on attendees. Sadly, about a week before SharePoint Saturday Jamaica, Roger was hit by a drunk driver. The collision could have easily killed him. Despite the injuries to his leg, cheek and eye, he pushed through and came to speak. His doctors orders were to not use his eyes, so he led a discussion on cloud computing. At the SharePoint conference it was conversations with my new friend Jennifer Pearcy. She has been traveling to the island for many years and has a deep passion and love for the people. All of the speakers paid out of pocket to get to Jamaica, but Jennifer traveled the furthest. She flew from Saskatchewan Canada, to Vancouver and on down to Jamaica. She also traveled with an extra suitcase filled with school supplies and soccer balls for a school she’s been supporting every time she comes. That’s awesome. I got my first dose of connecting with the kids in Nine mile, when I shared some extra pens that were in my bag. The kids really liked the yammer pen and were almost ready to fight over it. I also emptied my bag of some of my speaker shirts, so if you’re in Nine Mile and you see a SharePoint speaker shirt, you know where it came from. Over time, the registration grew and we had 20, then 30, then 40 registered. After SPC14 (the SharePoint Conference in Vegas) I ran into Craig, the organizer of SharePoint Saturday Bermuda. Which itself was a great event. When I chatted with him about what I was doing in Jamaica he wanted to help. He connected me with George from Microsoft over much of the Caribbean. George connected us to Marcelle Smart, the Microsoft country manager in Jamaica. Over the course of the next few weeks we’d work out a venue (JAMPRO), and almost lost the event when we found out it was going to conflict with the countries largest and most important sporting event. CHAMPS. I continued to push for the event despite the conflict, and we kept it on track. Marcelle from Microsoft, really took care of us. 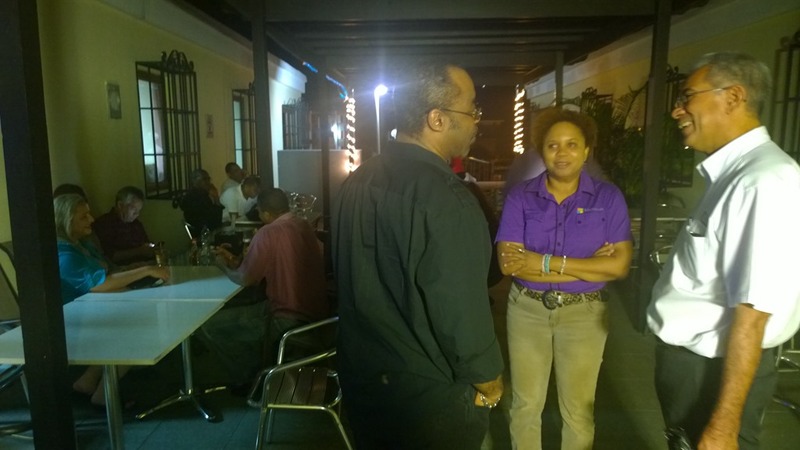 When we were setting up our Speaker dinner she invited us to join the IT Community dinner fish fry in Kingston. This is where we met some of the most influential IT folks on the island and would have an opportunity to promote the event event further. 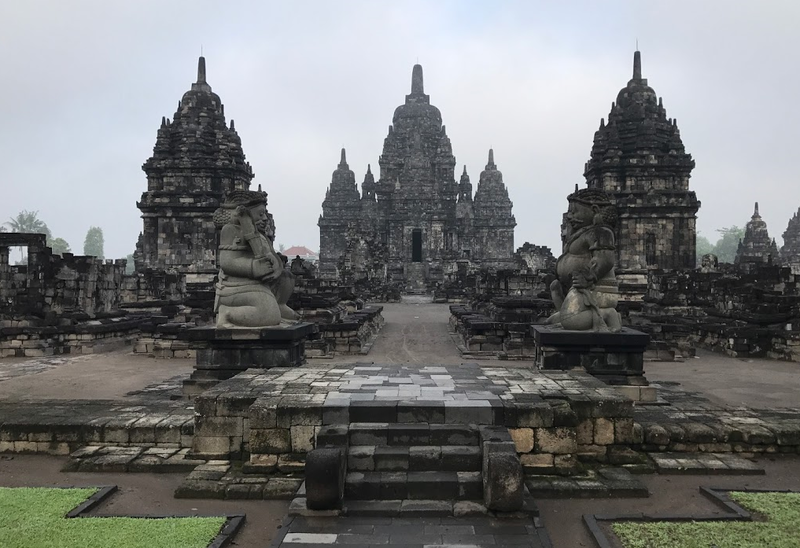 I’ll save my travel photos of the beautiful island for my travel blog (post coming soon), but we really had an incredible time connecting with the people. 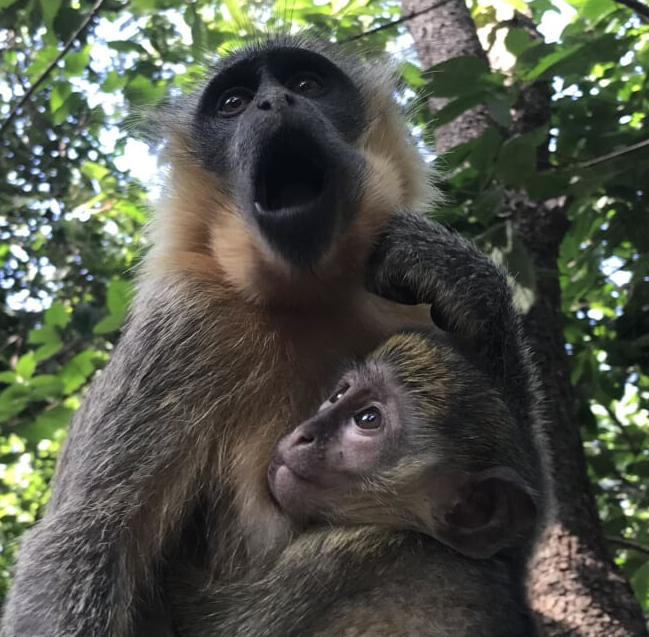 I rented a car and drove from Montego Bay to Kingston and had a day of adventure on either side of the event in my travels to Ocho Rios, hiking Dunns River falls, and visit to the Bob’s houses on Hope Road, Trench town, and deep in the jungle in the hills in Nine mile. All of which I recommend. When we first arrived at the venue on Saturday morning. I was starting to get a little nervous. Would anyone show up? Slowly but surely we had a solid showing which included a great diversity of talent with many of the people there showing real depth and experience in SharePoint with more than a few going back as far as SharePoint 2003. In addition we had real records managers, admins, developers, and people from some of the most important companies in Jamaica. This wasn’t a room of students with no connection to SharePoint. All of them had powered through on their own, so meeting others had that much more of an impact each other. It was fascinating at lunch to listen to them get to know each other and quickly have a ton in common. 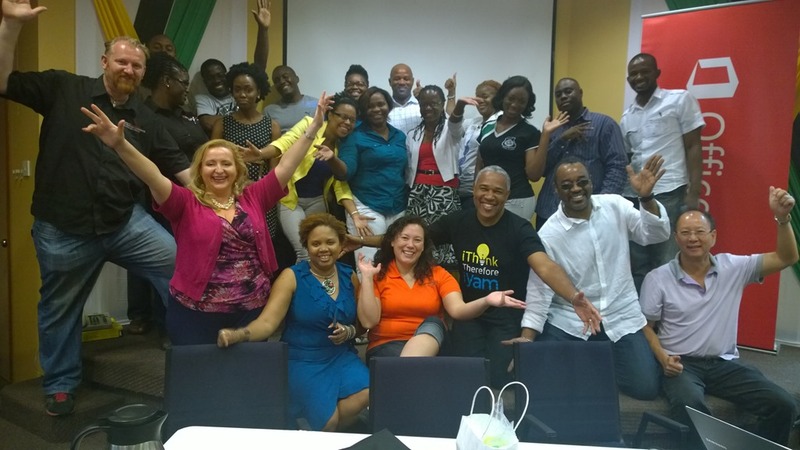 I love being in a position to help build a community and what I witnessed here was the birth of the SharePoint community in Jamaica. Microsoft has lent their support, and all of the people who attended raised their hands in interest in joining the user group. Afterwards, I connected with Renee who traveled over 2 hours to be there. It doesn’t take many of those to make me feel and know that my little sacrifice of my time and money was worth it to help these awesome people get further in their careers and in their lives as technology in nations like Jamaica means opportunity and change. It transforms the lives of people. It’s cool to be part of that transformation and help enable the change. If anyone has doubts about the impact of building community. 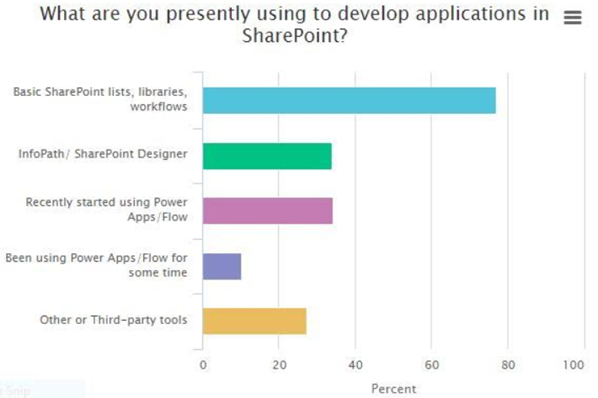 All they really need to do is visit a SharePoint Saturday event. These events are built by the community for the community. No one gets paid and everyone sacrifices their weekend and these are the strong ones. You meet the ones that sacrifice the most to share their passion for technology and changing their families and communities. After the speaker dinner a few of us went out to Mas Camp, a festival leading up to Carnival. While there I met a randomly met a SharePoint Admin named Richard, he recognized my SharePoint shirt. Richard spends his time working on SharePoint and has spent many hours writing powershell scripts and doing support and maintenance for the platform. Amazing. You didn’t think that could happen in Jamica, did you? He even reads this blog! Don’t underestimate the power of technology and community. Out of Chaos comes order or better said, out of many one people. I see that in our community… When we come together as one, there’s nothing we can’t accomplish. 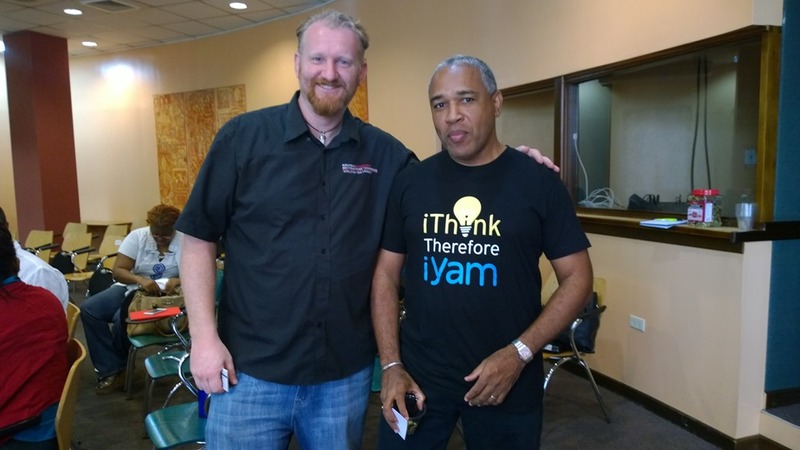 My new friend Chris Reckord and his awesome yammer shirt! 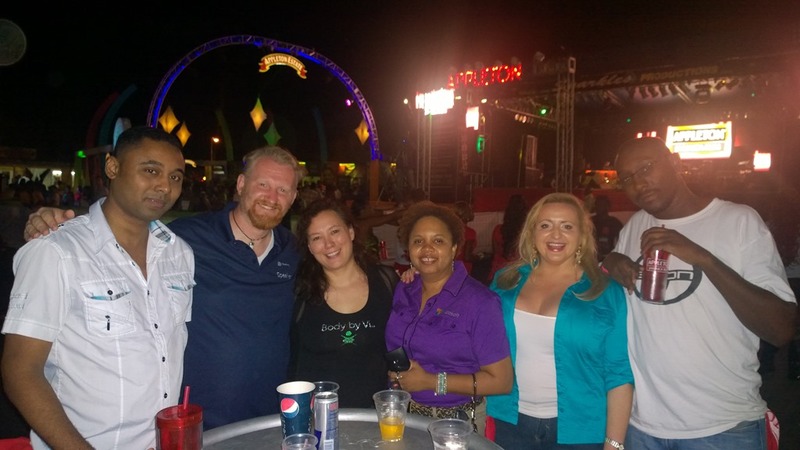 Yep, Yammer has fans in Jamaica too! The power of social!!! 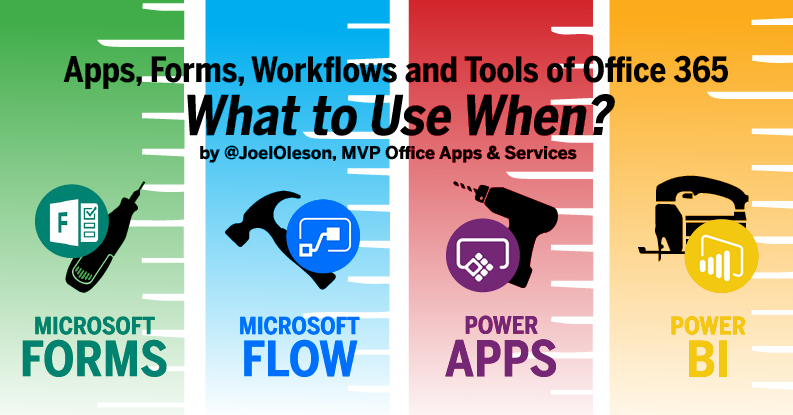 Next Post Dear Abby IT, As SharePoint Expert What Should I Do Next in My Career? So where do I get a Yammer shirt like that? Great question! That’s one question I didn’t ask him.